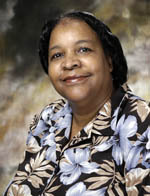 The Vickie Lynn Allen Texas Association of Black Professionals in Higher Education (TABPHE) Life Membership Grant was created by Dr. Steve Mittelstet (past Richland College President) on behalf of former Richland College student and long-time Richland College employee Vickie Lynn Allen. Vickie Lynn introduced Dr. Mittelstet to TABPHE, urging him to encourage Richland employees to participate and support its good work for Texas higher education employees and students,which he did. Dr. Mittelstet is now a TABPHE Life Member and supports the vision and mission of TABPHE. This fund covers TABPHE lifetime membership dues for two Dallas County Community College District (DCCCD) employees. The first membership will be awarded to a Richland College employee and the second membership will be available to other qualified DCCCD employees. The award will be dispersed prior to TABPHE’s Annual State Conference and the recipient will be acknowledged during the Conference Banquet. All funds donated ultimately provide annual TABPHE scholarships to deserving community college, undergraduate and graduate students across the state of Texas. 1. Any DCCCD employee with at least one year of history with TABPHE. 2. Is interested in becoming a Life Member and have a financial need in obtaining membership. 3. First membership will be awarded to an employee of Richland College and subsequent memberships will be available to other qualified DCCCD employees. DCCCD Foundation will forward all applications to the TABPHE State President, Executive Director and/or State Treasurer. Once applicants are chosen, TABPHE will notify them and the DCCCD Foundation for membership processing. (Note: when donating , make sure you type in Vickie Lynn Allen TABPHE Life Membership Grant as your designation donation fund).